Legendary Chicago bluesman, Eddy Clearwater died today. He was 83. Born Edward Harrington in Macon, Mississippi, Eddy moved to Chicago in 1950, taking on the nickname “Guitar Eddy”. His agent suggested Clear Water, playing off of bluesman Muddy Waters. Eventually that morphed into Eddy Clearwater. Clearwater perfected his own style of Blues, which he called “rock-a-blues”, a mixture of Blues, rock, rockabilly, country and gospel. 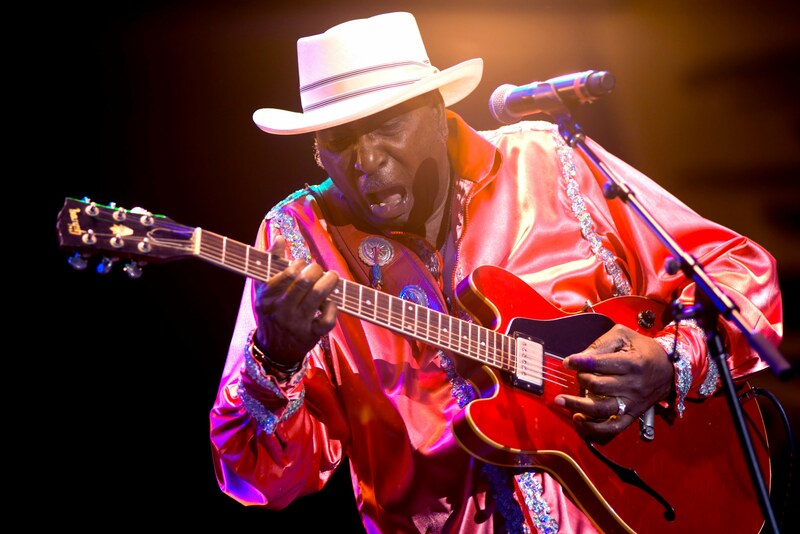 His music career extended over six decades, and he was inducted into the Blues Hall of Fame in 2016. I first saw Eddy Clearwater live at a club in Des Moines called “Blues on Grand”. I tell you, it was one hell of a show. Of all the Blues acts I saw in Des Moines, I think Clearwater was my favorite. Eddy was such a showman, and I was mesmerized by his guitar play. Clearwater was self taught, and he played the guitar left-handed and upside down. My buddy who was at Blues on Grand with me said, “Watching him play is giving me a headache!” When Clearwater was on stage, he grabbed your attention, and didn’t let you go until he was done with you. We sat close to the stage, although at BoG, no one sat very far from it. Just before a break, Clearwater called my buddy and I out from the stage. During the intermission, he came over to us and talked to us like we were old friends. 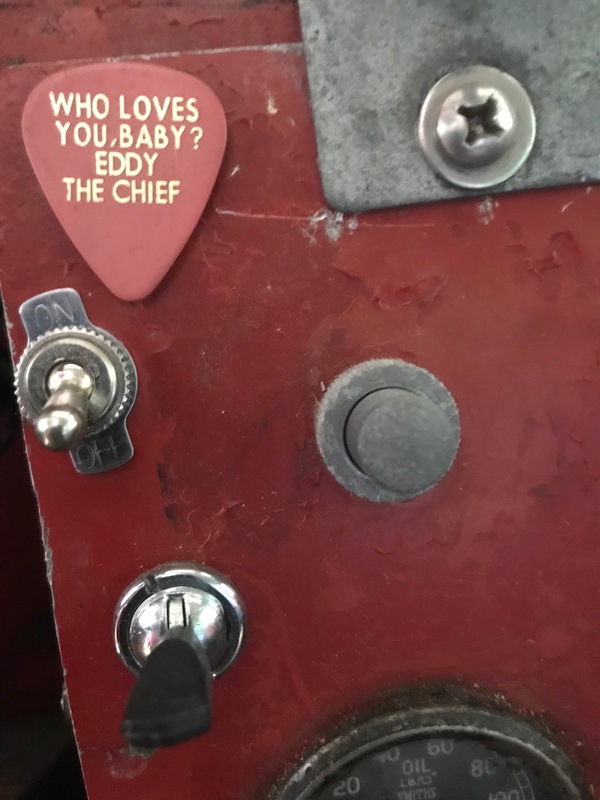 Of course, he gave each of us a guitar pick. To this day, I still have mine; it’s fastened to the dash of my old Land Rover. Rest in peace, Eddy. You will be dearly missed.